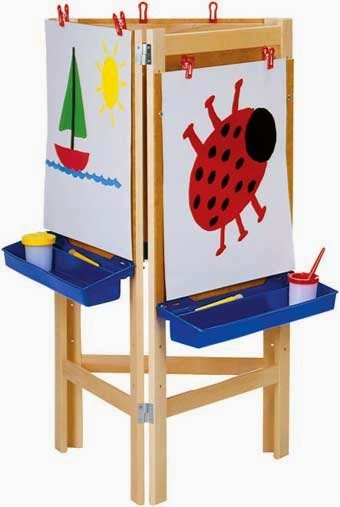 (The president, Trina, my husband and I made the easel during the summer last year... it was another "we can make that" moment while looking through over priced education catalogs) Because we donated the cost of the project the preschool didn't pay a dime, we saved over $100 making our own and it was so easy! The preschool uses it every day so its priceless! Two sets of the DIODER LED lights. We got two in white ($29.99 CND each) for the Preschool's table and two sets in color ($39.99 CND each) because my husband got a brilliant idea to make our's a color table. 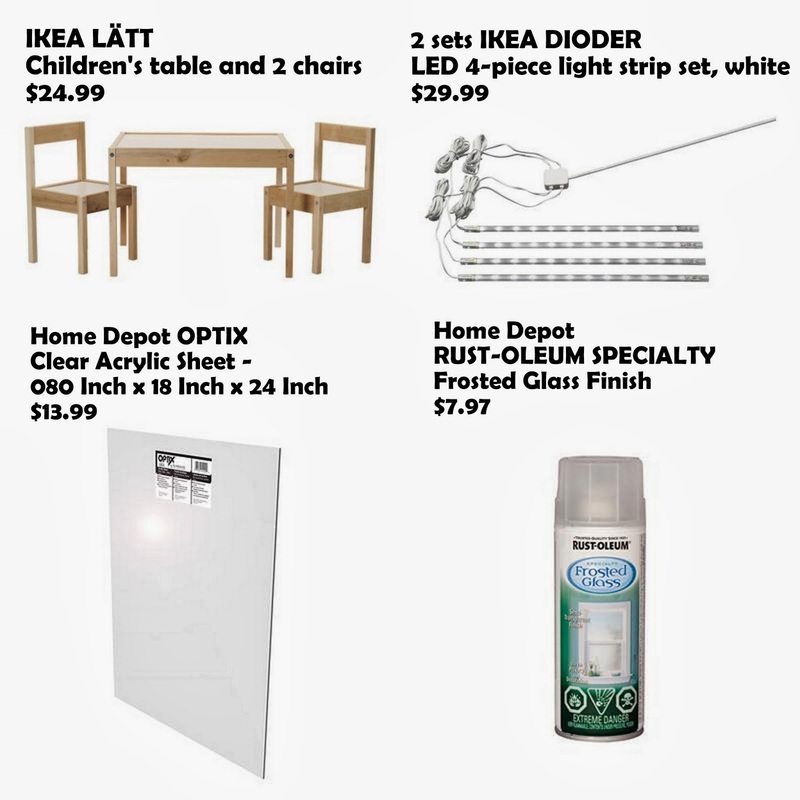 After the IKEA run we stopped by Home Depot to get some OPTIX Acrylic sheets, you need exactly an 18"x 24" sheet. we got the .080" ($13.99 CND each) thickness but would suggest thicker if we did it again. Step 1: use the white table top to mark on your acrylic sheet the corners that need to be notched out. 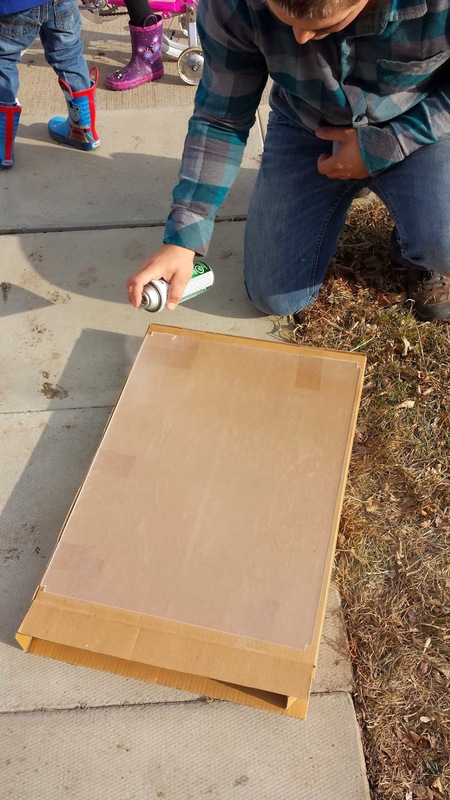 Then spray several thin coats of frosted finish paint over the acrylic. The more layers you apply the better. Only frost one side as well. One can worked perfectly for 2 tables! This is all you get in one of the multi-color LED sets, you wont use all the pieces! This is all you need for cords out of the two sets. You will use all the LED light strips (8), the mini expansion strips (photographed in the project) and the following in the above photo as well as the adhesive strips and clamp pieces. Step 2: Screw all clamp pieces near the bottom of each wide section. On the two smaller sections (not attached to the legs) slightly stagger the clamps because we need to over lap the LED strips on the small ends. They may be hard to see but if you look closely they are slightly staggered. We only did two clamps per wide board and it is plenty! You can always tack down the lights and cords with the little glue strips included in the kit if they are not laying nicely. Step 3: Once the clamps are attached with the mini screws provided in the LED kits you will want to insert the Acrylic sheet where the white board provided for the table would go. This is already notched out on each board and should slide in perfectly. This is why we notched the corners out. This is how we connected our lights: We connected 2 strips directly to each other, one extension, one strip, two extensions and then the final strip. Make two of these. Do this to the other side as well. Step 6: add the wires that connect the LED lights to the base adapter. We plugged them in and ran them both on the same side near the legs. Step 7: place the "what is meant to be the top of the table" to the bottom right side down as shown in photo. Step 8: Apply 4 screws at a slight angle to secure the bottom plate to the table. We attached 2 screws on each long end of the table. Be careful not to go through the edge of the table and expose the point of the screw. You can brad nail this down but we chose screws just in case anything needs to be adjusted or lights need to be changed. We also didn't tighten the bottom near cords so we didn't pinch anything. this is what ours looked like when secured and finished, we used a few twist ties to gather extra wires so they looked neat. Step 10: We used velcro dots to secure the remote to the side. Again this is for the multi-color set, for the white set it is just like a lamp switch on the cord, and this is not needed. this is what it looks like secured on the side, but removable for kids to play with. What it looks like when off. 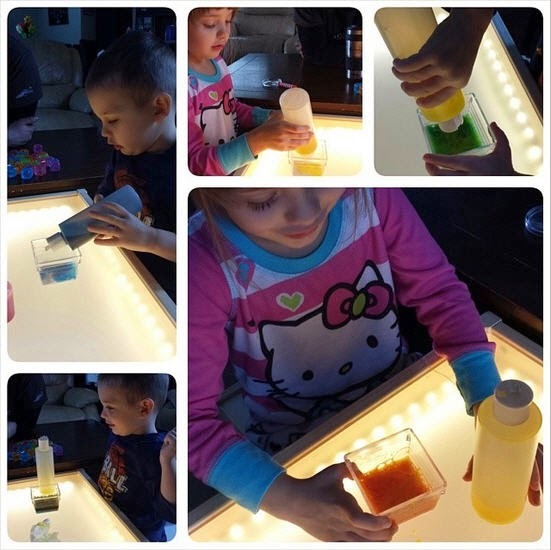 We have had fun playing all day with our new light table! Photographed below is the white LED light table. Cheap manipulatives purchased at the dollar store! Adalie, her cousin and her little brother Everett having a blast playing! Did some coloring on the light table too! 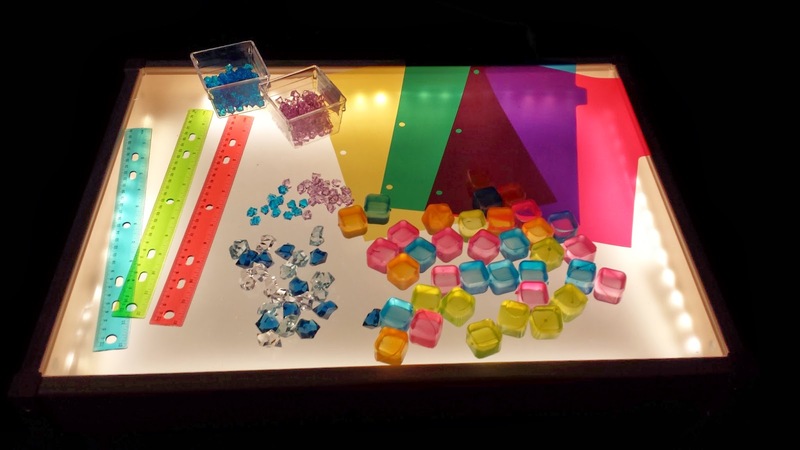 Demo of the light options of the multi-color led table! So much fun! 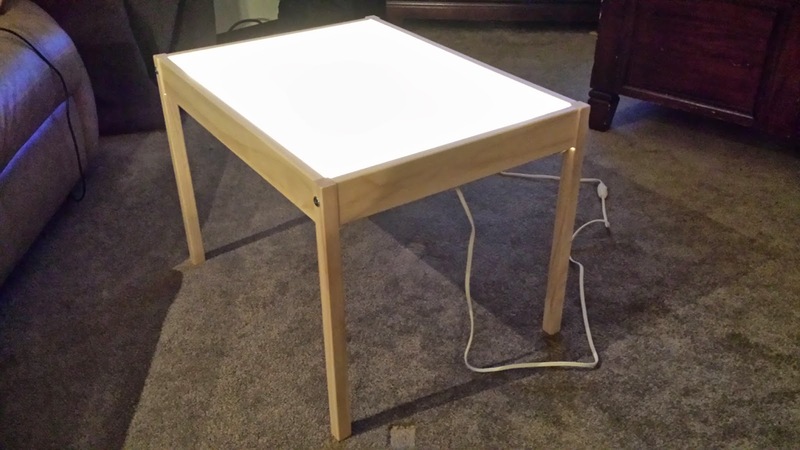 Hope you enjoyed this DIY Light Table - Ikea Hack. Could possibly be made even cheaper with fluorescent lights but my husband loves the idea of LED and I am pleased! UPDATE: We were featured on Buzzfeed! Check it out #18!!! This is a BRILLIANT idea! My little guys would love this! I'm putting it on my to-do list. Thanks for posting such a detailed tutorial. not sure if putting the link address is working - have you seen the animal x-rays at Amazon? 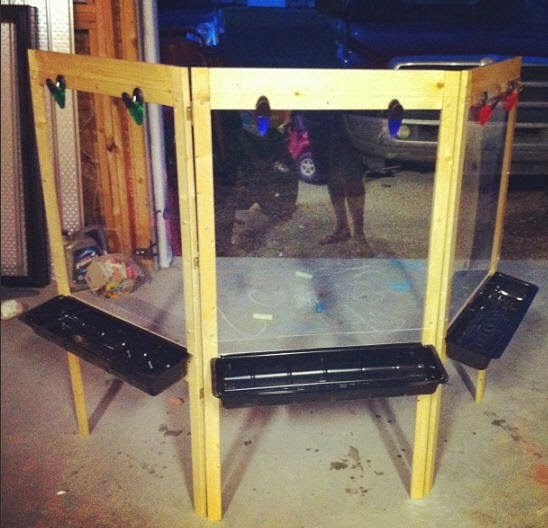 We are making this right now for my classroom!! Have you noticed any instability in the middle of the acrylic? My table came with the support slats and my hubby is afraid of the table breaking if the kids put too much pressure building or playing in the middle of the table. We did get a little thicker acrylic as you suggested. So excited and Thank you!! Jmurrow, hey how did you get support for the middle? Please contact me. I need some help. Thank you! 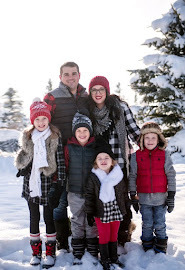 We are making this for our children for Christmas, and your tutorial is perfect! Awesome! Thanks so much for sharing- this tutorial looks so easy to follow. 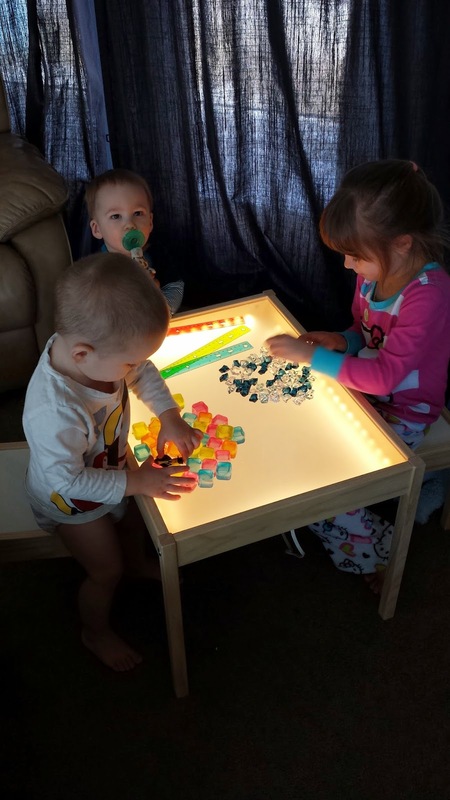 I run a licensed Family Childcare and we purchased light tables years ago. They are used daily. I wish I had known how to have my hubby do this! Maybe he'll make some to sell! Hi, love this! I am nervous about cutting the acrylic, any advice? Is that silly? I'm looking at the .220 since you recommended thicker. can you please provide the exact name of the lights you got? The link does not work. Also, were you able to cut the strips in smaller pieces? MissAmyK, I used a "plastic cutting tool" from Home Depot and kept cutting each side relatively evenly until the piece came out on its own. I'm thinking of making one this summer for my PreKinders. 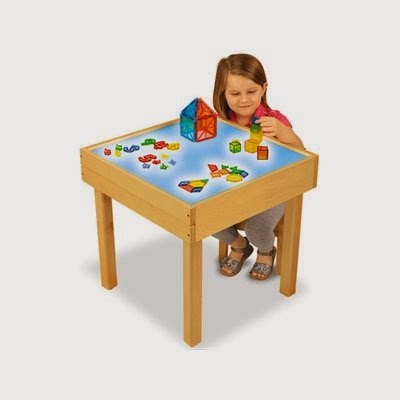 I have seen other Ikea tables suggested for the item to modify - does this table work well in a classroom of busy children? We regret to inform you of a copyright claim. 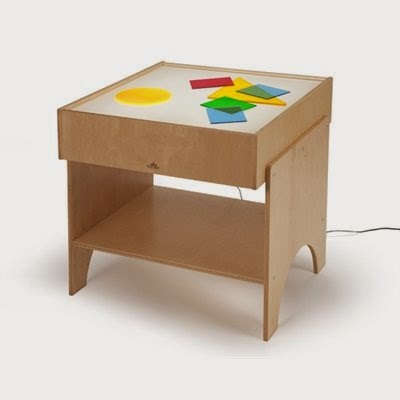 Our original tutorial of DIY Ikea Light Table was published Aug 31, 2011. While we are sure this is a mistake, copyrighted material is protected and we would appreciate it if you would give us proper credit mention in your post and include a link to our original tutorial. We are sorry to inform you via comments, we couldn't find another form of contact. Please contact us at Moonbeamsandapplesauce@gmail.com for any questions. Thank you! I have never seen your tutorial, no can I find it online. Is there anyway you can please post a link. I am a very honest person and have never come across anything like our creation. If you did do the same tutorial my apologies for posting a tutorial alike but again this creation we made was not inspired by anything other than our own thoughts. I found the link. I will post your link on my page. It was honestly not intentional. I did not see your tutorial before. Thank you Cassie for the honesty and blog courtesy. We made a nod to your tutorial with the colored light adaptation in our post as well! Hey Cassie and Moonbeams! Great tutorials. I'm going to use ideas from both of you (and other blogs) for my own light table. That being said, even if Cassie did see your tutorial - using "ideas" of other bloggers as jumping off points is not copyright infringement. She does use the same Ikea table frame as a starting point, her materials and construction are different. Therefore, while she was gracious in posting a link to your blog, her content was not infringing on your post. Thanks again for both of your ideas! Paper writing services are useful for the individuals who need to advance an instruct their peruses by educating a particular theme. research paper writing service help bring reliability and demonstrable skill to their customers. There are gifted and proficient individuals who work through this paper writing service. wow! We are going to do this! Hi! I was wondering, what's the thickest acrylic I can get without it being too big for the table slot? I just finished my light table and I love it! Thanks for the instructions. I bought the thicker piece (I think 0.22") and it works perfectly. My husband had to notch it on a table saw, so that was more inconvenient than being able to use a utility knife, but so worth it. Instead of spraying it, I used a palm sander on both side to make it really "foggy". Thanks again for the post and instructions! I would love directions for the easel. Do you happen to have them? 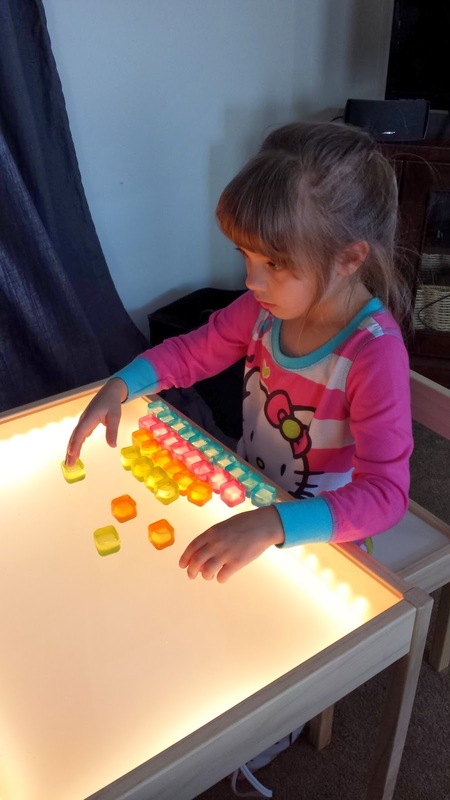 Love the light table, too! Does the frosted painted surface side go down inside the table or up for the children to play on? Painted side down :) this way it doesn't get all scratched up . Thank you for your tutorial. I am excited to use this in my preschool classroom. We found a piece of Acrylic at Menard's that was the same thickness as the table top and it fit perfectly. My husband used a hacksaw to carefully notch out the corners. Am I missing it or is there a link anywhere to how you made that amazing triangular easel!! 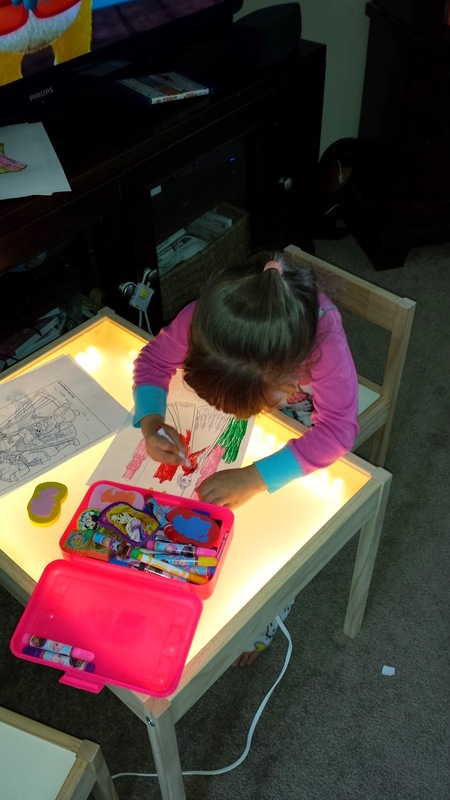 I love the light table but I really need that easel!!! Made the table all by myself so ptoud and Ikea had multi colored strip now with 3M adhesive backing. Took me about 30 min total to put all pieces together. Total price $74. Thank you so much for the tutorial!!! !